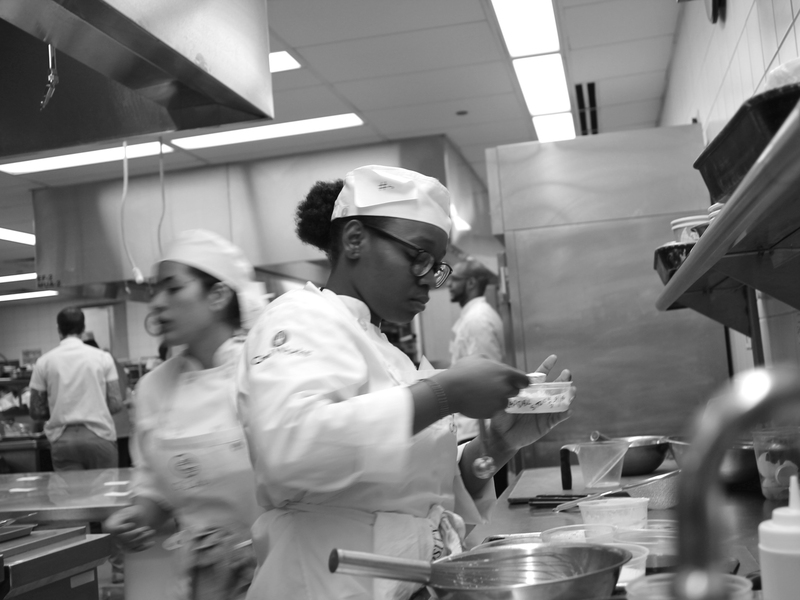 IF YOU OPEN IN RIVER NORTH OR LOGAN SQUARE, there’s press releases and coverage of the opening and you stand a good chance of winding up on somebody’s listicle. If you open up on the northwest side of Chicago, well, better hope the neighbors notice you, because media rarely will. Start rubber-banding those menus to everybody’s front steps, if you want to survive. Are they all great? No; some of them are new enough that they’re still a work in progress. But they all offers the pleasures of individuality, of a personal vision and an atmosphere that didn’t come stamped out of the franchise machine. So check them out; maybe you’ll find something you love. At the very least, you’ll find something you weren’t expecting, which for breakfast or lunch, is enough to keep it interesting till the next one. You know the drill in a sandwich shop—there’s a list of sandwiches, maybe named for celebrities or something, with different meats and toppings like cheese, lettuce and tomato, and so on. It’s the usual sandwich experience, serviceable enough though bread, cold meat and cheese rarely dazzle. Don’t go into The Little Pickle expecting that. Drop all your preconceptions, and accept a new way of thinking about sandwiches. There are usually only two meats—chicken and pork, though maybe a third at any given time—plus seitan. You pick one, you pick a sauce—ranging from tangy barbecue-style to creamy—and then you pick something pickled to go on it. And when you do, you’ll realize that the pickles are actually the stars, and your sandwich is built around them. Co-owner Bradley Treusdell got into pickling when he worked for Nathan Sears at The Radler, and his copy of Michael Ruhlman’s Charcuterie is usually close at hand as he experiments with different things to pickle—one time he brought me a few different things to try, and there was one, bright orange, sweet and tangy, indescribably delicious, that I just couldn’t place. “Dried mango,” he explained. Who’d have thought to take a dried mango and reinvigorate it with vinegar? The meats are done in something called a CVap oven, which is basically like a combi oven crossed with the techniques of sous vide cooking. What that means is that meats come out amazingly juicy, bordering on wet. 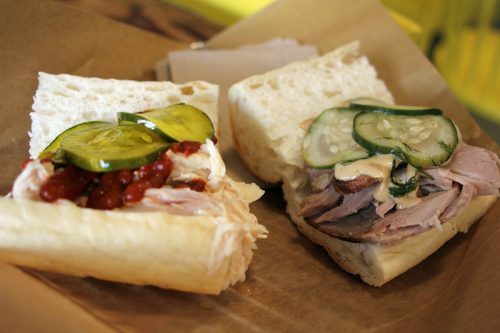 So unlike so many mummified lunch meat sandwiches, a sandwich here is fresh-tasting and can dive as deep into pickling exotica as you choose. 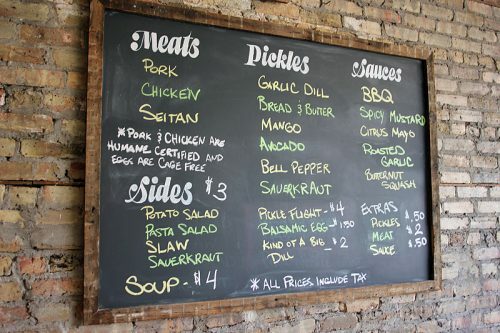 Beyond the chicken and the pork, there’s usually soup, and you’ll often find something else Treusdell felt like playing with on the menu—meatloaf or corned beef and cabbage or upstate New York-style beef on weck. So it shouldn’t get old any time soon. 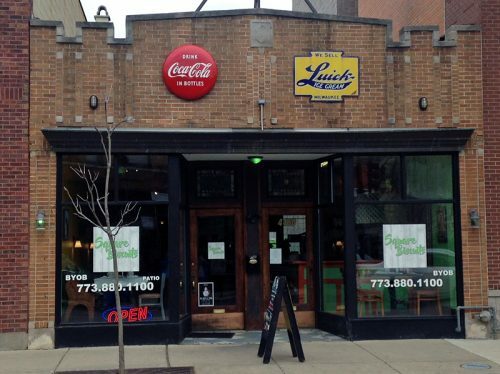 Technically this sandwich shop is still located in Logan Square, but it’s far enough west that it doesn’t feel anything like it. Treusdell and his wife Lindsay Malinowski bought the building, rehabbed it themselves (they even built the tables) and live in it. 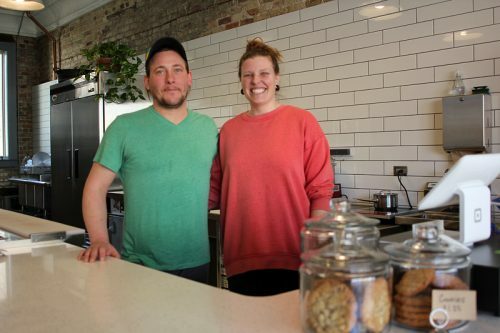 Eventually they will be surrounded by other food and drink businesses, but for now, they’re pioneers in the area, and you should be one too and check it out. 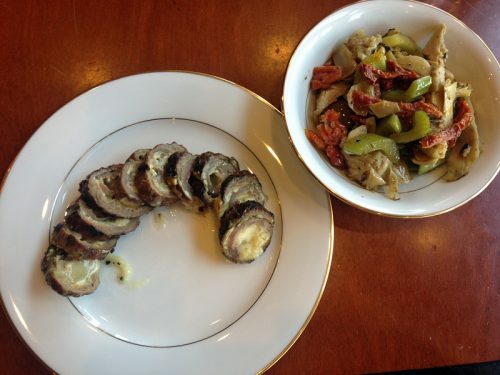 Braciole—rolls of beef stuffed with cheese and grilled—seems a funny thing to build an entire restaurant around. 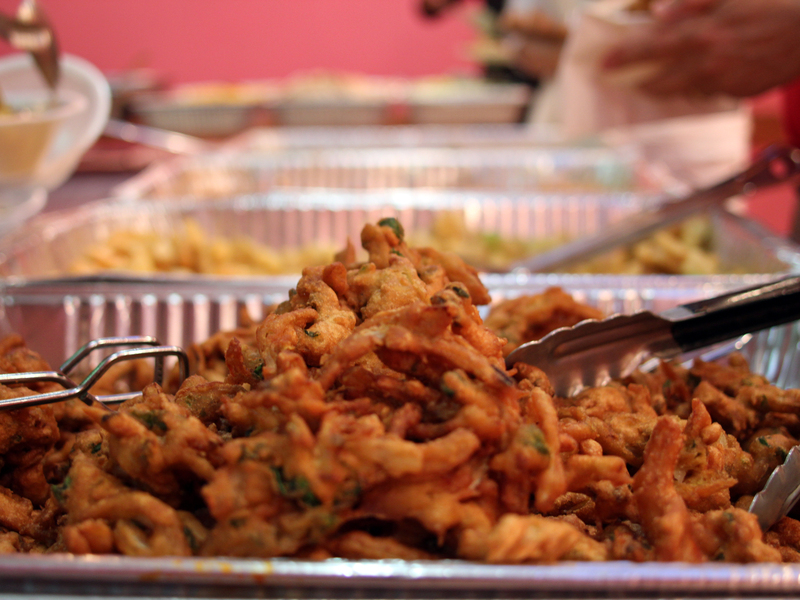 Don’t worry, the opening menu also had… artichoke salad and tortellini. 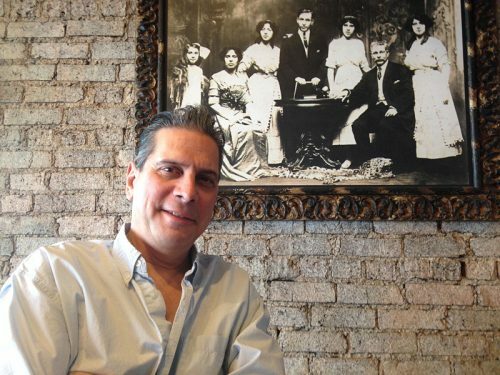 Okay, the menu is slowly expanding beyond that, says owner Mark Studney, a retired industrial consultant who decided to open a place in honor of his Sicilian ancestors, who hang on the wall and include a female scientist who worked on the Manhattan Project. That’s why this place delights just for being there, improbably, and being so different. 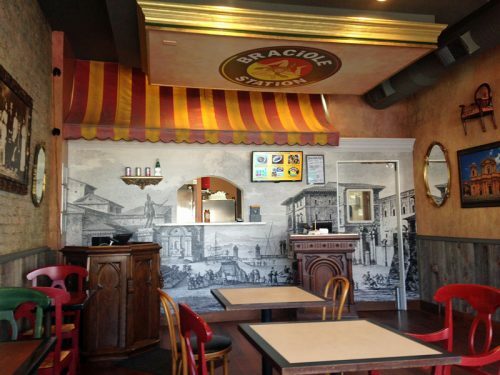 Check it out, try the braciol’, enjoy a taste of old Taylor Street in the middle of quiet North Center. 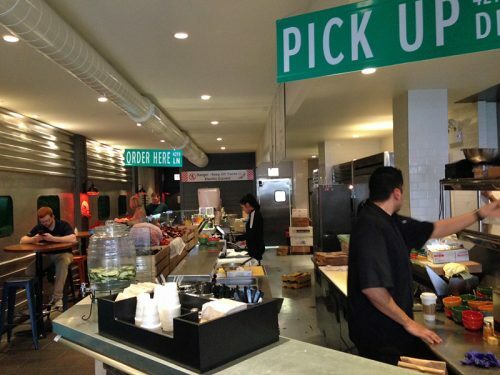 CTA-themed taco stand (with lots of subway memorabilia), serving a mix of the usual tacos (steak, pastor etc.) and some ringers. 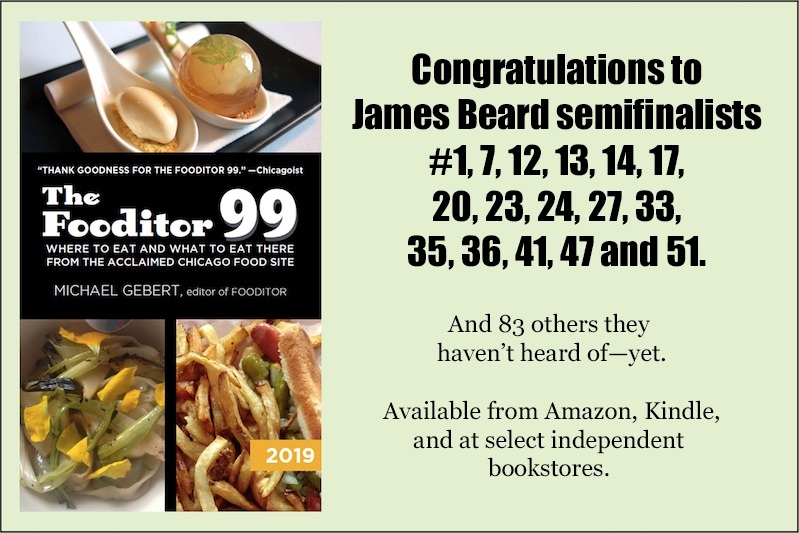 The tastiest one, and one of the most unusual, is a puffy taco with brisket; it’s really good and you can’t find anything like it in town. Steak and fish tacos are both good, but some of the other promising ones seem like they’re not quite there—I like the idea of the Sweet Hog, which has Coca-Cola braised pork and slaw, Carolina-style, but it needs a tangy BBQ sauce element to set the rest off. (There’s a salsa bar to let you customize them a little, so at least take advantage of that in some way.) 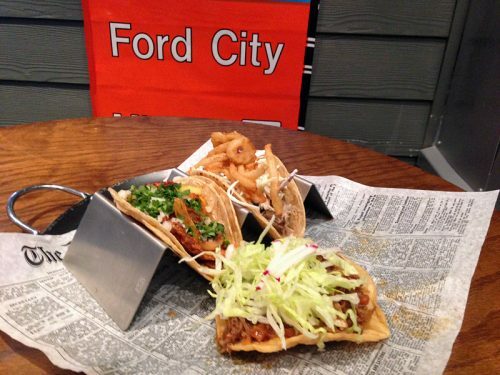 Still, kudos for trying different things in a taco joint in Chicago, it’s worth making it your… next stop. The far west stretch of Irving Park dominated by the Patio Theater is one of those strips that feels less like the city than like a small town main street. 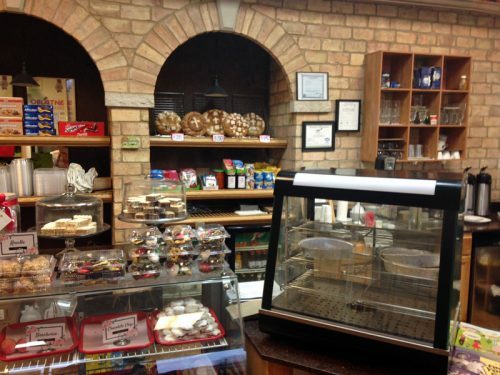 It’s dotted with modest, homey businesses like a coffee shop, a thrift store and a used books and records shop. As it turns out, all of those—Perkolator, Thrift & Thrive and Sputnik Books & Records—are owned by the same couple, Joe and Melissa Basilone. 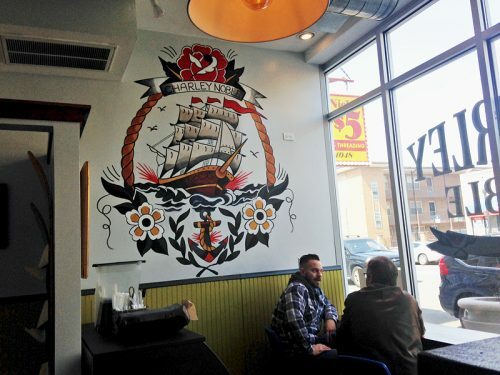 Charley Noble is their nautical-themed sandwich shop (I’m tempted to suspect the theme comes from realizing they had a lot of ship paintings in the thrift shop), which extends the northwest side connection to area stalwarts Sicilian Bakery for bread and Joseph’s Finest Meats for meats. 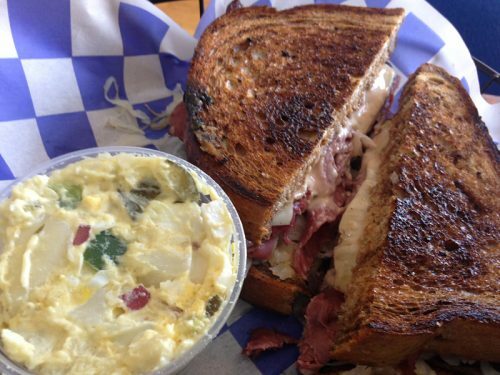 I had a perfectly nice reuben on big puffy rye bread, although the side of potato salad met the definition of white people potato salad. But that’s okay. Need a two-hour vacation from the city, and don’t have time to drive to Long Grove or Union Pier or Kenosha? Shop and eat the 6000 block of West Irving Park, get some vinyl, leaf through some old books, explore the Polish deli, have a sandwich, grab some ice cream at the Filipino empanada and ice cream place across the street. It’s a good day. I guessed the story at Square Biscuits as soon as I tasted the smoky Canadian bacon. (Canadian bacon is not supposed to be smoked, but I wasn’t complaining.) I knew that the location had previously been Mr. B’s BBQ, and sure enough, the proprietor of this new breakfast cafe acknowledged that he was Mr. B (aka Chris Bogyo) and had smoked it himself. 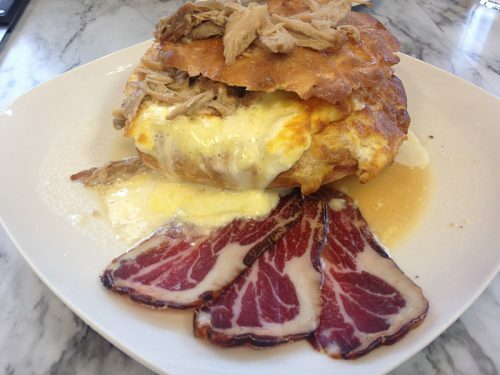 So a breakfast place built on very good biscuits and barbecue touches—where do I sign up? 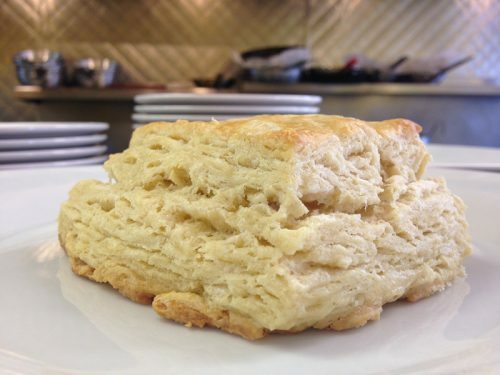 Square Biscuits has been open barely a week (the menu says “soft opening” on it, and he says it will grow over time), so if you check it out early, be kind, they’re learning the ropes. But I’m happy to have it near to me, and wish them smoky, tasty luck. This bakery space a few doors east of Raisu Japanese Cuisine on Irving Park has been a couple of different things, including a halal pizza place (which is probably the source of the Italian village decor), but I saw it had a new name a few weeks back. 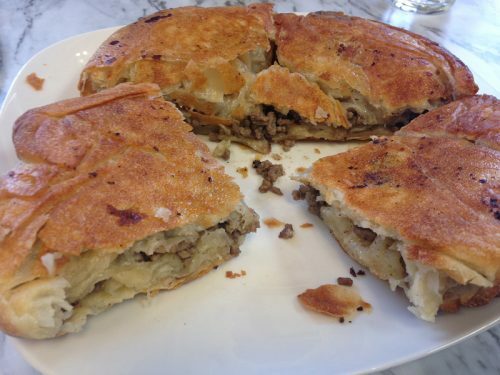 Hat tip to chef Alan Lake for being the first to dig into it, and dig into it is exactly the term for the signature dish, Komplet Lepina, which takes a huge piece of Serbian bread (I instantly thought of the similarly gargantuan Bosnian Answer to the Jucy Lucy), and fills it with creamy Serbian cheese and butter, a gooey Slavic analogue to eggs Benedict that makes a nice breakfast… for two. Beyond that there are crepes, burek (with an unusually crispy crust; I assume they hit the griddle at the end), and an assortment of professional-looking Eastern European pastries; my son and I got one called knedle, which was sort of like a lighter take on cheesecake, very pleasing, and which helped push our Komplet breakfast up to 200% of our daily requirement for dairy. 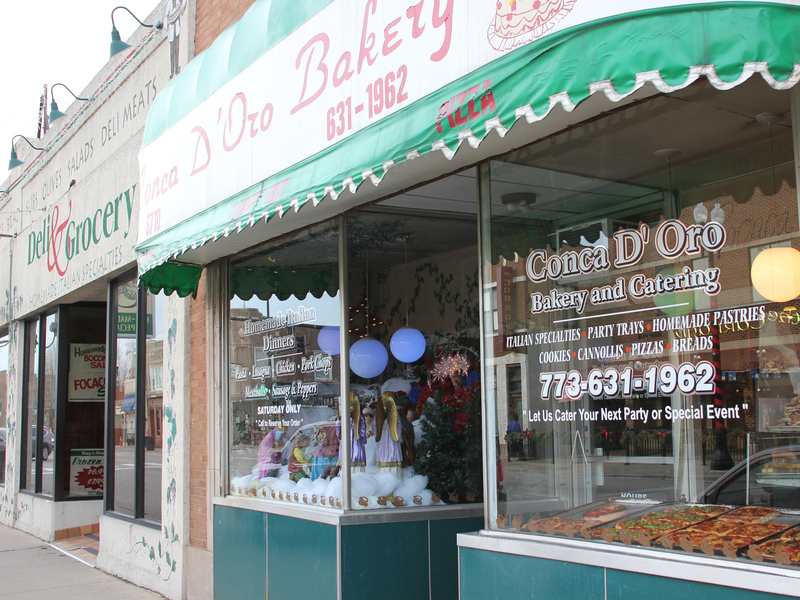 CORRECTION: An earlier version assumed that the Astoria family’s previous bakery was in Macomb, Illinois. 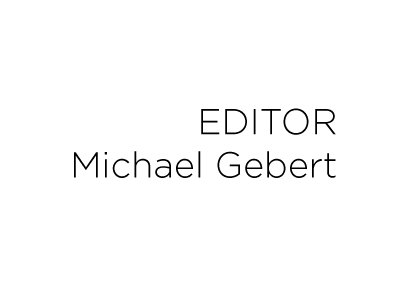 Michael Gebert is but mad north-north-west, as editor of Fooditor.